What do we want? Divestment! When do we want it? Now! For those of you that read this section regularly, you may remember our interview with People and Planet’s Sophie Marriott. 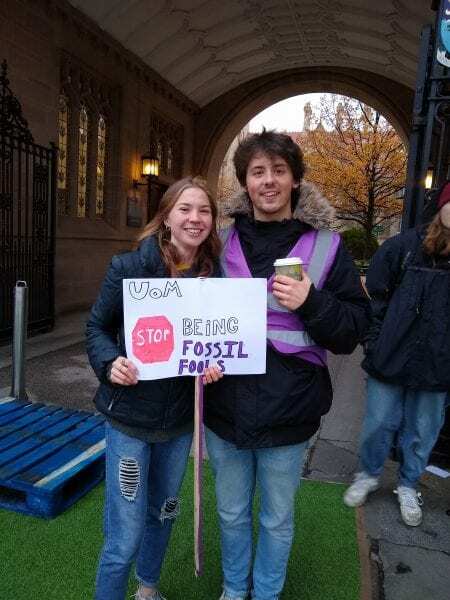 For those of you that don’t, they’re a society that focus on all things earth-friendly, and one of the campaigns they’ve been running recently is trying to get the University to divest from fossil fuels. Currently, the University has nearly £10m invested in fossil fuel companies, and People and Planet’s latest focus has been trying to encourage them to move away from companies like these, and instead invest in cleaner, greener energy sources. You certainly can’t fault the society’s dedication to the cause. 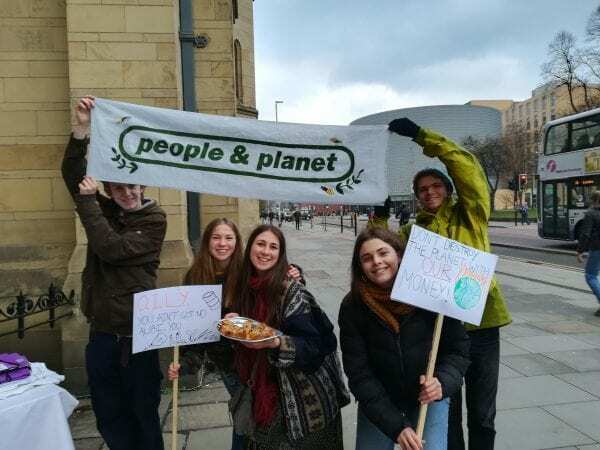 The team from People and Planet decided to brave the bitter cold and grey skies for a full five hours – all in the name of divestment. 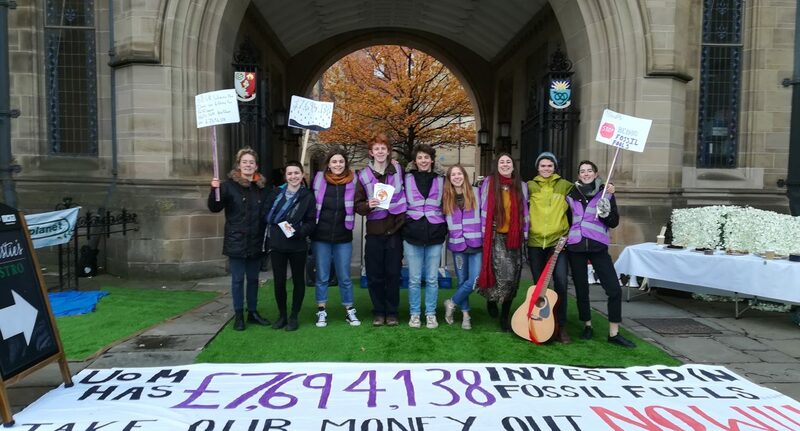 Taking to the streets on November 21, for their Fossil Free Shindig (FFS), they set out on a mission: to show the University that students don’t want their money invested in fossil fuels. Joao, one of People and Planet’s members, spoke to me about his enthusiasm for the campaign. Coming from Portugal, a country that is actively trying to generate all its energy consumption from renewable sources (and in March 2018 managed this) means that there is absolutely no excuse for the UK, and therefore Manchester, to still be reliant on fossil fuels. Armed with the very effective weaponry that is free food and musical performances, flyers in hand, they set up shop outside the Whitworth building, right underneath where the governors were meeting. As well chanting some very catchy slogans like “O-I-L-Y you ain’t got no alibi, you oily”, the protest also featured artistic interludes from the likes of Mathew Kerry (you may remember him from our review of Fuse x ComSoc: A CALM Time), performing some of his own songs, in addition to spoken word from Zoë Kempe Stanners. If you want to get involved with People and Planet’s campaign for divestment, join their Facebook group or sign the petition that will be circulating in the very near future to show your support.